Caprese is one of those flavor combinations that I never get tired of. It's so simple but so delicious. Last week, I started a 20-day challenge for myself to eat cleaner: no alcohol, sweets, or carbs (grains like bread and pasta, not natural carbs like those found in fruit). Caprese has been in rotation lately, along with my new favorite omelette: goat cheese, mushrooms, onions & basil with salsa - yum! Caprese has been a really easy meal to throw together for dinner that is both yummy & satisfying. Simply slice a tomato & some creamy mozzarella, add fresh basil, and drizzle with balsamic vinegar - I use an 18-year-old balsamic that my mom always brings me from my hometown...it's to-die-for! When it comes to cleaning my makeup brushes, I admittedly don't do it as often as I should (experts suggest about every 2 weeks!) All of that built-up makeup, oil, dirt, dead skin cells, and bacteria (ew!) 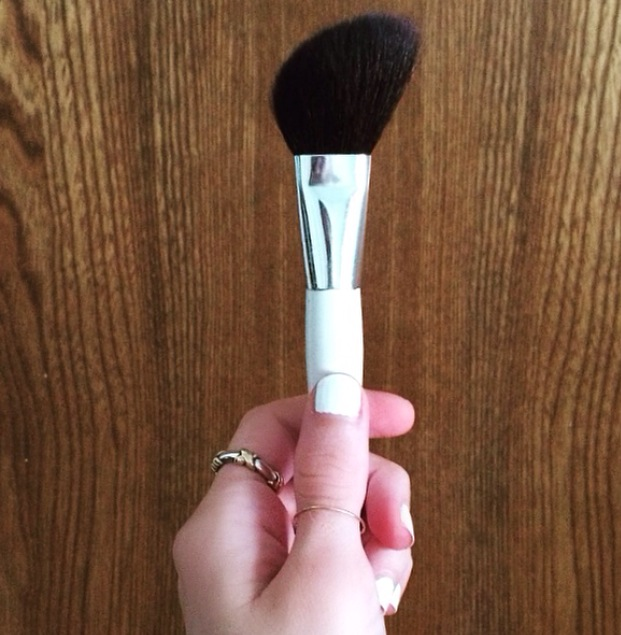 can cause breakouts and clog your pores, so it's necessary to clean your brushes regularly. Instead of buying fancy potions to clean my brushes, I just use baby shampoo. It's super gentle and just as effective. First, run your brush under the water to get some of the caked-on makeup residue off. Then, simply mix a few drops of baby shampoo in a bowl of lukewarm water. Swirl your brush in the soapy water - try to focus on the bristles rather than the base - if it gets wet, it could cause the glue to loosen and the bristles to fall out! After washing your brush, rinse thoroughly under the faucet. Then re-shape the bristles and lay the brush flat on a towel to dry. It should dry within 6-8 hours. I recommend cleaning them at night so they're ready for use by the next morning! I love shorts - it must be the Florida girl in me, but whether they're cut-offs or printed silk shorts, I just can't resist! These Zara golden yellow suede shorts caught my eye as a great transitional pair to wear from summer into fall (also perfect for FSU game days!) I'm loving the colored suede trend, and the whipstitch details on these shorts really makes them feel more elevated. 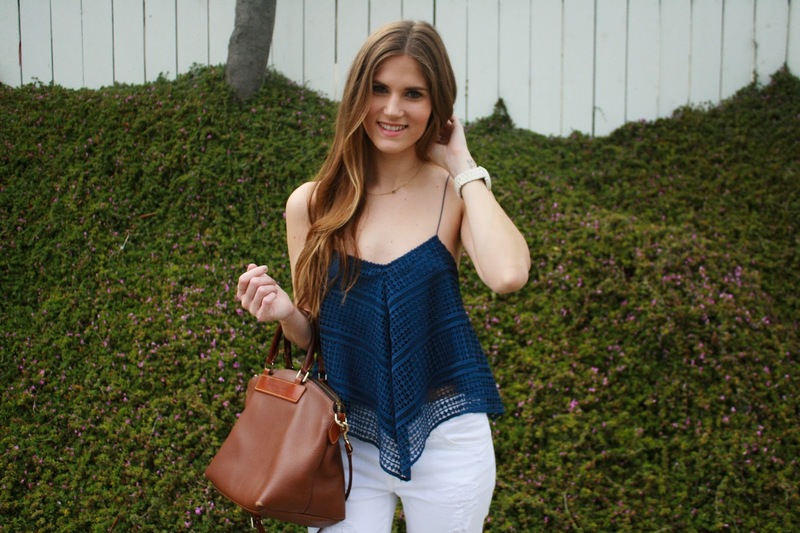 I paired them with an over-sized white crochet lace top for a casual daytime outfit with an interesting mix of textures. I tend to gravitate toward bright, bold lipsticks in the summer, and this neon pink fits the bill. The shocking shade is named after Parisian fashion designer Elsa Schiaparelli. "Schiap" is a NARS cult favorite and for a good reason..I love the pop it adds to every outfit! NARS lipsticks are very long-lasting, I can go the entire day without reapplying - even after eating! I'll definitely be rocking this hot pink all season. 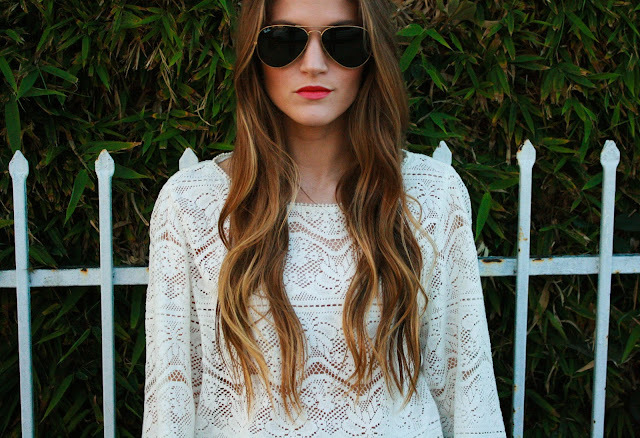 I love a little peek of lace for an edgy, but feminine look. Pencil skirts paired with more office-appropriate blouses are great for work, but to take your outfit from desk to drinks, just swap the top & bag. This Nasty Gal lace bralette is one of my favorites - it's so comfy, it feels like I'm not even wearing a bra (great for us small-busted gals!) 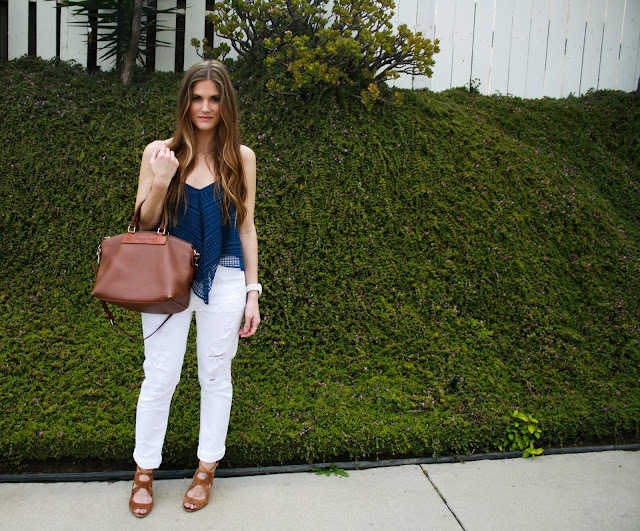 How do you change up your outfit from office to happy hour? Nothing says summer like s'mores! I was inspired by The Girl Who Ate Everything to make s'mores cookies, complete with a graham cracker crust & mini marshmallows! Perfect for the 4th of July! I made my classic chocolate chip recipe and added mini marshmallows, then topped the graham crackers with a 1-inch ball of dough before throwing them in the oven. They are reminiscent of the classic campfire treat with their gooey marshmallows and melted chocolate, but with all the qualities of a cookie. Yum! Hope you all have a safe & fun-filled holiday weekend! Preheat the oven to 350 degrees. In a stand mixer, combine butter and sugars. Add vanilla. Add eggs one at a time, beating well after each addition. In a separate bowl, combine flour, salt, baking soda. Add flour mixture slowly, stopping halfway to scrape the sides of the bowl. Add vanilla pudding mix. Slowly mix in chocolate chips & marshmallows. Carefully break graham crackers in half into square pieces and place on baking sheet. Place 1-inch balls of cookies dough in the center of each graham cracker. Bake for 8-10 minutes. Enjoy warm with a sprinkle of sea salt & glass of milk! 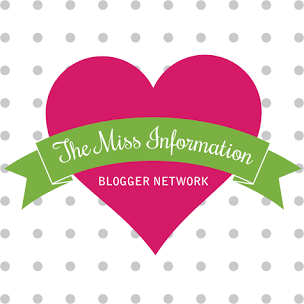 I'm so honored to become a member of The Miss Information Blogger Network! The Miss Information is an amazing site dedicated to empowering young women to lead their best lives: happy, healthy & real. Check out their mission here! I'm so excited to join this community of talented women and continue to inspire others on a new platform. Stay tuned for what's to come!